MISSION VIEJO – Cajon’s football team showed Friday that there’s plenty of character behind its championship credentials. The Cowboys rallied from an 11-points deficit in the third quarter to collect a 46-42 victory at Capistrano Valley in a thrilling CIF-SS Division 3 semifinal to reach its second consecutive section final. 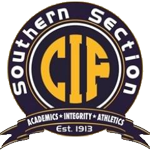 Top-seeded Cajon (12-1) will play Sierra Canyon, which beat Citrus Hill 27-3 in the other Division 3 semifinal, in the final. Cajon sealed the victory on the final play, forcing an incomplete pass from its 40 by the Cougars (9-4). The Cowboys’ Jerrell Weber also recorded a key interception at his 15 with about four minutes left in the fourth quarter. Cajon took a 44-42 lead with 7:22 left on a 30-yard TD pass from star quarterback Jayden Daniels to Larenzo McMillan. Darren Jones caught the 2-point conversion off a deflection as the Cowboys extended their lead to 46-42 and finished 5 for 6 on the conversions. It was the seventh lead change of the game, which pitted the record-setting Daniels against Capistrano Valley’s Nathan Manning in a duel of standout senior quarterbacks. Daniels passed for 289 yards and three TDs while Manning threw for 292 yards and five TDs. Capo Valley made its third consecutive appearance in the semifinals. Capistrano Valley opened a 35-24 lead – the biggest of the game – in the third quarter on a 3-yard TD pass from Manning to Drew Donovan. Manning’s fifth touchdown pass capped a short, 28-yard drive after the Cougars forced Cajon to turn the ball over on downs. Cajon responded not once but twice to tighten the score and regain the lead in the fourth. The Cowboys drove 74 yards for a 2-yard touchdown run by freshman running back Freddy Fletcher and added the 2-point conversion on a leaping catch by Jones to trim the Cougars lead to 35-32. Capistrano Valley took a 42-32 lead early in the fourth quarter on a 1-yard TD run by De’Andre LeNard, but Cajon answered again. McMillan returned the ensuing kickoff 78 yards for a touchdown to cut Capo Valley’s lead to 42-38. The 2-point conversion failed but the Cowboys had their spark. Cajon’s defense delivered a stop, setting the stage for 168th career TD from Daniels for the go-ahead strike. 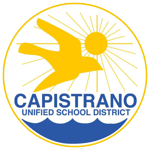 Capistrano Valley led 28-24 after a back-and-forth first half, which saw six lead changes. Manning threw his fourth touchdown with a 29-yard connection with Jake Muller with 1:54 left in the second quarter. The extra-point by Lance Gardiner made it 28-24. The Cougars forced an incompletion from their 19 in the final seconds of the half as Cajon turned the ball on downs. The Cowboys were 3 for 3 on fourth down before the misfire. Patrick Griu helped lead Capo Valley’s defense in the first half with three sacks. Capistrano Valley took a 7-0 lead on an 88-yard TD pass from Manning to Blake Morgan on its first play from scrimmage. The quick slant followed an interception a few yards in the end zone by Tommy Dickman.